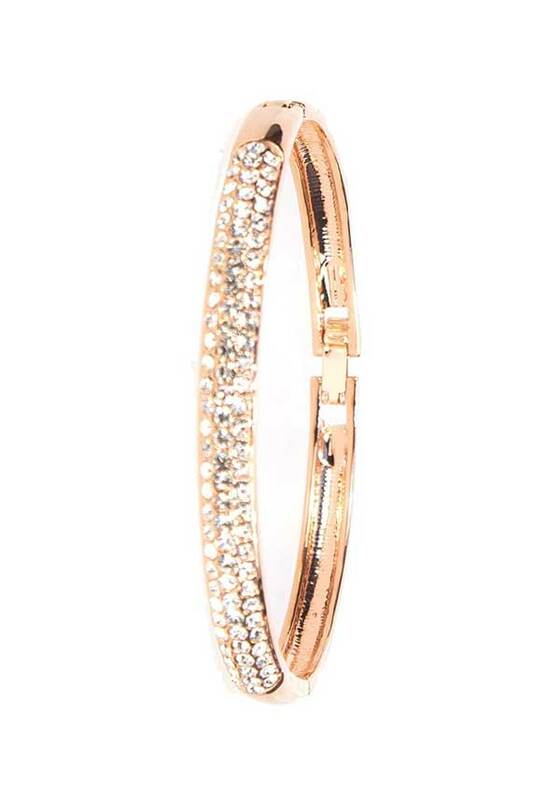 For a contemporary look, this crystal bangle ticks all the boxes. 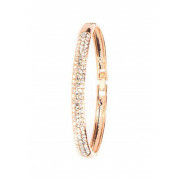 With three rows of pave set shimmering crystals, this piece adds just enough bling, without being over the top. Featuring a fold over clasp. Hypo-allergenic.